Medical emergencies can take you by surprise, and pay for them can be a problem even if you have health insurance. Your plan may not cover certain expenses or your medical bills might be higher than the coverage limit on it. In situations like these, an instant loan for a medical emergency can help. A medical loan is basically a personal loan, but one that’s provided for health-related expenses such as surgeries, emergency treatment in case of illness/injury, etc. It can be the ideal financial solution when you’re dealing with unexpected problems or higher costs than you expected. When you face a medical emergency, you need to arrange funds in a hurry. There’s usually no time for multiple visits to banks, collecting and submitting physical documentation, or following up with the lender about your approval status. Medical loans are designed to minimise these hassles during the application process so you can focus on handling the emergency you’re facing. It can be extremely frustrating to find that your loan for medical treatment has been approved, and then wait days for it to be disbursed. Most medical loans are processed faster than other personal loans, and you can save even more time by applying for an instant loan online. With app-based loans, approval can take just hours instead of days, or even as little as a few minutes! A medical loan for health-related emergencies usually has lower interest rates than your credit card or other loan options. It can also provide you with funds for long-term treatment or terminal illnesses, such as chemotherapy for cancer, which may not be covered by your health insurance plan. These loans can be used for checkups, minor procedures and major surgeries alike. Like many personal loans and lines of credit, medical loans are unsecured. This means you don’t need to provide a deposit or put up an asset as collateral backing for the loan. Along with reducing the risk of assets being seized in case of repayment delays, this also simplifies the loan application process since you don’t need to provide any additional documentation. In most cases, a loan for medical treatment can be repaid with flexible EMIs or instalments. This allows you to pay for hospitalisation, medicines and other expenses without delay, whether it’s for short-term procedures or long-term treatment. You can also manage aftercare and ongoing medical expenses without worrying about where to get money and pay these off over time. Some financial institutions provide loans for specific types of planned medical treatments, in addition to unplanned emergency loans. For instance, most kinds of cosmetic surgery and certain dental procedures are considered elective expenses, and may not be covered by your insurance plan. Medical loans and other personal loans, however, can be used for these purposes. A medical loan for health-related emergencies can prove to be a lifesaver in times of need, especially when you’d like to avoid asking friends and family for money! 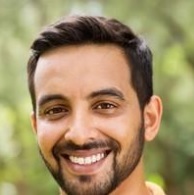 Shiv Nanda is a financial analyst who currently lives in Bangalore (refusing to acknowledge the name change) and works with MoneyTap, India’s first app-based credit-line. Shiv is a true finance geek, and his friends love that. They always rely on him for advice on their investment choices, budgeting skills, personal financial matters and when they want to get a loan. He has made it his life’s mission to help and educate people on various financial topics.